Fairway rather wide and slopes gently downhill. At the first shot, there is a partial Dog-leg to the left and a long row of tall, thick trees to the right. 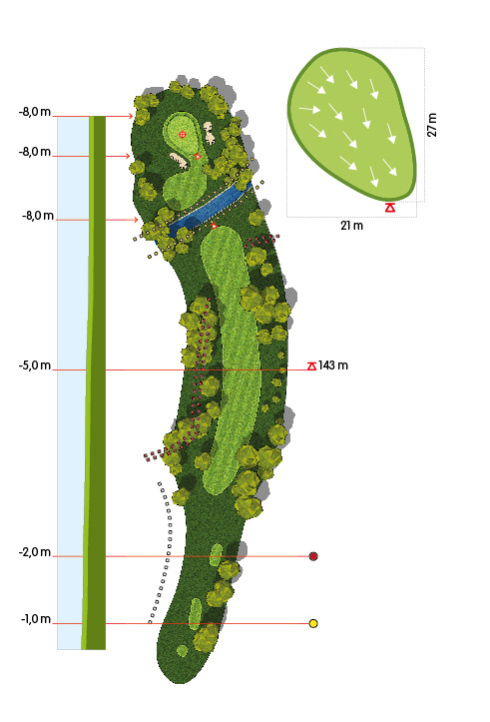 A wide, easily visible green, protected by a water obstacleto the front crossing the fairway and a bunker on the left.